On March 20, 2018, our Founder, Executive Director & Director of Inspiration, Sonia Jo (Malone-Kendrick) Stover moved from this life to another. Sonia’s death was devastating to her family, Feed Iowa First and the community at large. Sonia was daughter, mother, visionary, truth-teller, combat veteran and founder of Feed Iowa First. As a self-proclaimed Food Democracy Activist, Sonia was a relentless champion of the basic human right that all humans have access to healthy food. Feed Iowa First was founded by Sonia Kendrick in 2011 after she returned from Afghanistan as a combat veteran. Sonia saw the effects of hunger on the citizens of Afghanistan. She was surprised to come home to Iowa and find that her state had over 376,000 food insecure citizens and that we import over 90% of our food. 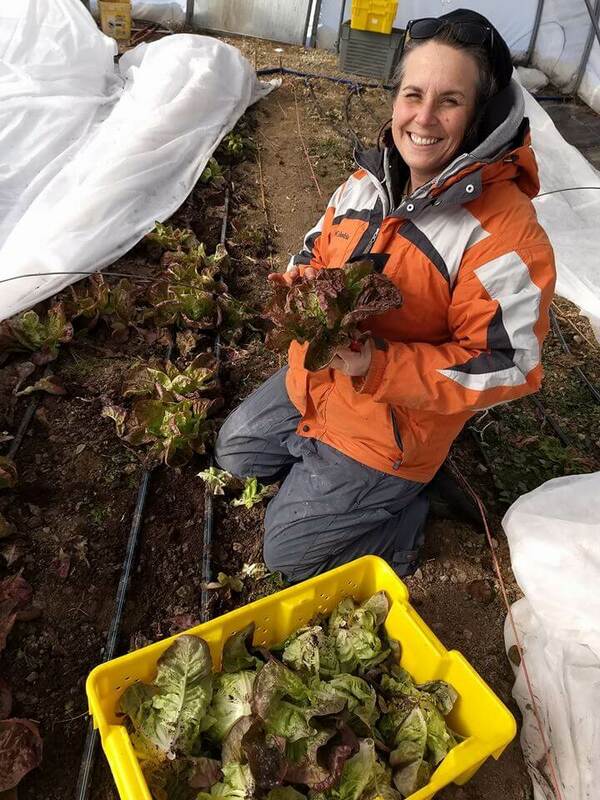 In 2017, Sonia earned her master’s degree in sustainable organic food systems at Green Mountain College. The event honored women veterans, highlighting their incredible contributions to our nation’s business, public and community service sectors. Although some would say her greatest accomplishment was her never-ending concern for the well-being of others. If a person was hungry she made sure they were fed no matter the circumstances. Those of us on the Feed Iowa First Board of Directors are inspired by her life and work and will ensure that Feed Iowa First endures and thrives in her memory. SONIA JO (MALONE-KENDRICK) STOVER Memorial. The Gazette – Cedar Rapids, IA. March 22, 2018. Forrest Saunders. “Sonia Kendrick remembered as tireless fighter for hunger.” KCRG-TV9 – Cedar Rapids, IA. March 21, 2018. Alison Gowans. “Striving to heal one meal at a time: Founder of Feed Iowa First dies at age 40.” The Gazette – Cedar Rapids, IA. March 21, 2018. Cindy Hadish. “Tribute to Feed Iowa First founder Sonia Kendrick.” Homegrown Iowan. March 20, 2018. Paul Brennan. 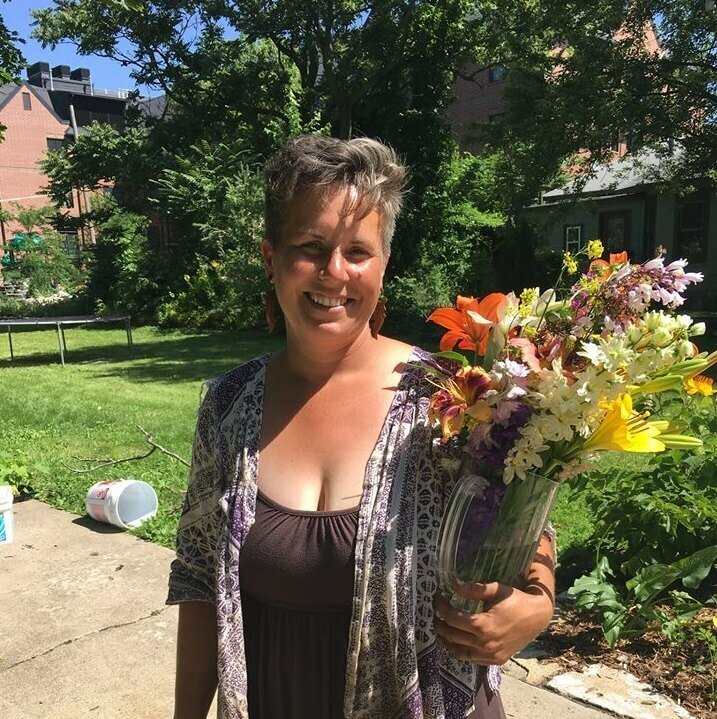 “I believe plows are greater than swords’: Sonia Kendrick, founder of Feed Iowa First has died.” Little Village Magazine. March 21, 2018. Tracy Saelinger. “Gardening Led This Veteran to a New Life of Hope and Healing.” Woman’s Day Magazine. May 2018. A follow-up story will be featured in the October edition of Woman’s Day Magazine. Cindy Hadish. 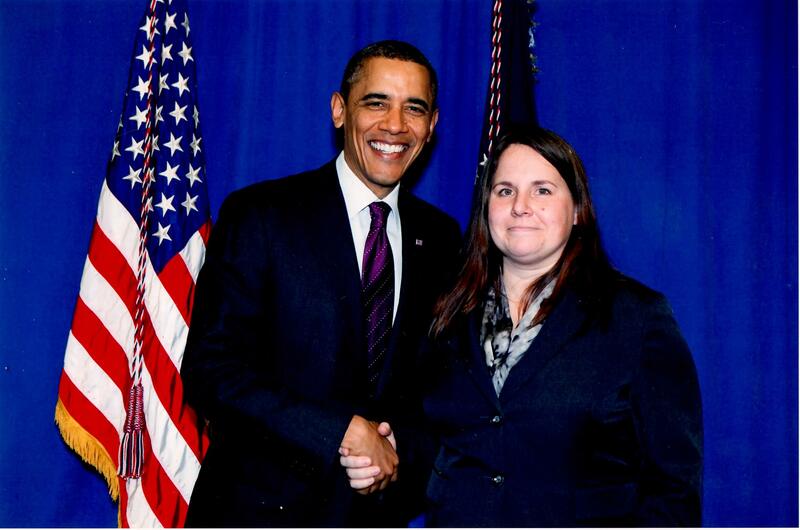 “Feed Iowa First founder Sonia Kendrick to be honored at the White House as “Champion of Change” Homegrown Iowan. March 24, 2014. I was introduced to Sonia while weeding a garden plot. One of few times Sonia wore shorts I could not help but ask about the giant tattoo on her leg from top to bottom. She said it an image of the “Apocalypse”. That started a long conversation about the perils of corporate agriculture in our state and its’ contribution to food insecurity. She seized each and every opportunity to educate people on this subject. 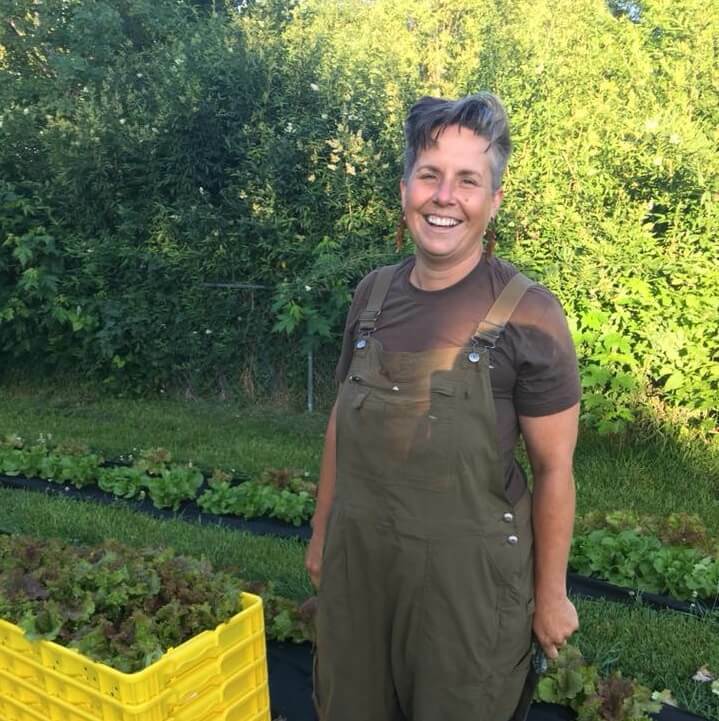 She helped start a food justice movement in Linn County and beyond. If she came across someone who was hungry she fed them. Feed Iowa First will continue that service to the community in her memory. I met Sonia in 2014, having been intrigued by what another grower for FIF told me about her. We met for lunch and I was totally inspired by her mission. 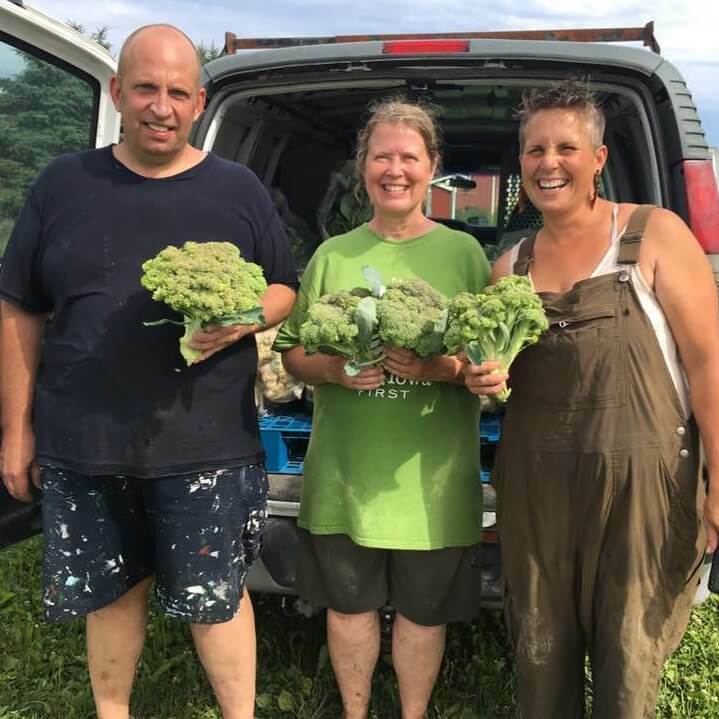 One thing that stands out in Sonia’s message is that one person cannot solve the food insecurity issue alone – but many people working together certainly can. Knowing Sonia changed me as a person. She helped me realize I needed to be a part of something way bigger than me, that benefitted so many in our community. I am proud to be a part of that mission. We are seeds and we are growing. I struggled with the decision to write a tribute to Sonia, because that would force me to face the fact that she is gone. Sonia’s passion for food, justice, and equality was captivating. I believed in her. I believed in her mission. She gave 110% of herself every day in her efforts to change the food system. She fought for your right to have access to local, nutritious food. I found Sonia when my life was in turmoil and I needed a purpose. Working with Sonia gave me a purpose. She was an enlightened teacher who would gently reprimand me for ruining an entire crop by saying, “Now I’m not mad, and sometimes you have to ruin many crops to learn how NOT TO ruin them.” That lesson will stay with me for the rest of this lifetime. Sometimes we have to mess things up in order to learn how NOT to be a mess. I loved her, I respected her, and I miss her every day. Sonia and I were neighbors in Hiawatha, and she had such a dynamic, vital presence. She answered my inane questions about composting and taught me about food production systems. Her passion was contagious. Sonia was a witty conversationalist, a patient teacher, a talented cook, and a tireless advocate for the marginalized. Her work was grueling, and she was often exhausted, but her commitment to her cause was unwavering. I hope Sonia knew how many people she helped through her activism. I carry her lessons with me every day and they fill a small part of the void her passing created. I am grateful to all of those continuing her legacy through Feed Iowa First. I only met Sonia a couple times (while weeding alongside her) but her passion was contagious! She challenged me to think about our food supply, to see green space in a new way, and even to cook a few new vegetables. I respected her grit and passion. I am sad she is no longer with us. I am thankful that Feed Iowa First continues to grow. I met Sonia in 2010 working in the fields of Abbe Hills Farm. Sonia was a student and I was exploring the CSA model in my work at HACAP Food Reservoir. Working and chatting we became and remained friends. I have been a board member of Feed Iowa First since the beginning. It is amazing all that Sonia accomplished! She started with one church. The church allowed her to use 1/4 acre of land. 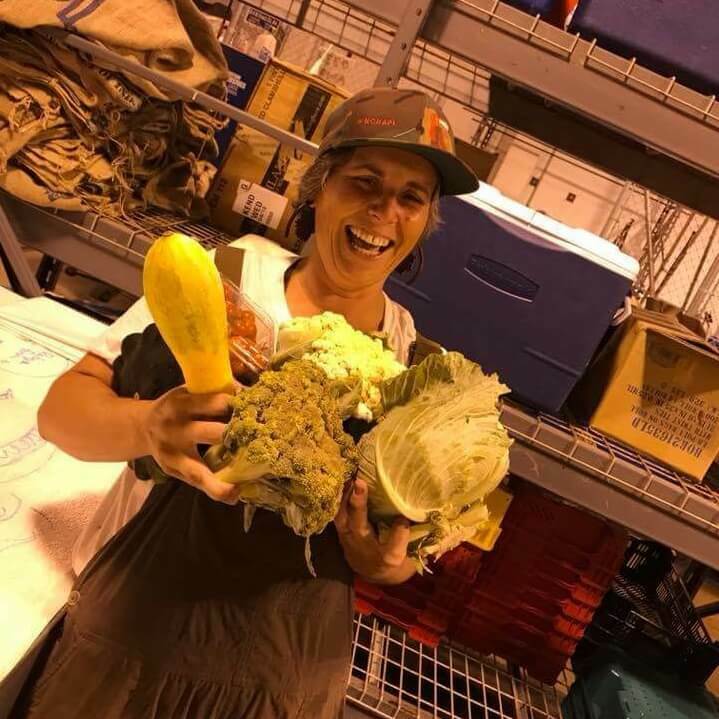 With her family by her side she did the work and delivered produce in her own vehicle. Today there is a full production facility and over 20 urban farms producing nutritious produce. She was selfless to a fault. She never took a paycheck and often went without so the work could continue. I admired her grand visions, her fearlessness and passion to serve her family, community and beyond. I am honored to have been graced with Sonia’s friendship. Thank you Sonia, your work continues.